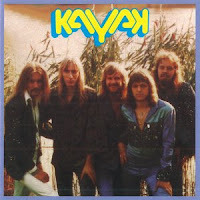 In 1988, EMI Holland released a CD, simply entitled "Kayak". It was released in their "Compact price"-series. 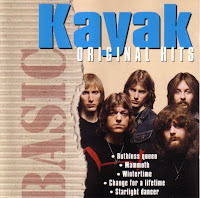 Quite logically, it focuses on the years 1973-1975 (Kayak's time with EMI). The same CD was re-released in 1996, with only a slightly different sleeve, and a different title: "Gold Collection". 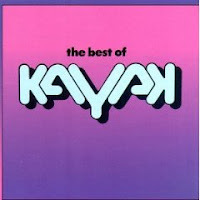 Also in 1988, Vertigo/Phonogram released "The Best Of Kayak", with material from 1977-1981. 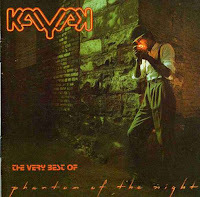 For many fans it is hard to understand that Kayak's most successful album,"Phantom Of The Night" was never released on CD in its own right (at least, not officially). In 1988, Phonogram thought it wiser to release an 18-track compilation of songs from Starlight Dancer and Phantom Of The Night. 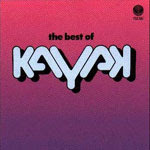 The Best Of Kayak was also released in North America, in 1996. Almost exactly the same sleeve as the European CD, but with different tracks. 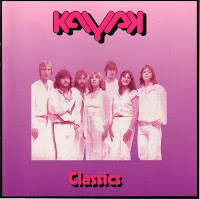 It was released by Renaissance Records, and rumour has it that Kayak gets no royalties at all from the Renaissance releases. This CD was re-released by Renaissance in 1999, under the title "Classics". Notable about this CD: it has some tracks from the Eyewitness album, but they include the audience noises from the original LP (not featured on the Eyewitness CD). 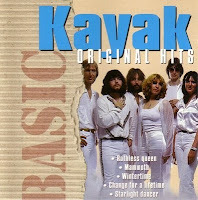 In 1998, Dutch budget company Disky issued "Basic - Original Hits". Most songs are from the EMI-years, but Starlight Dancer and Ruthless Queen are also present. For some reason, this CD was released with 2 different sleeves. 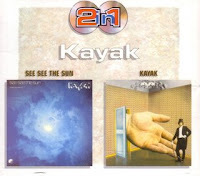 Not a compilation in the true sense of the word: In 2000, EMI put the first 2 albums in a 2CD-box. "The Singles +" was released by BR Music in 2001. 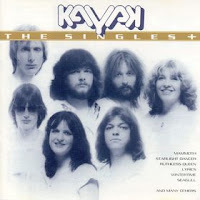 It is a nice collection of all the singles that Kayak released before 1982. The "+" probably stands for the inclusion of Max Werner's solo hit "Rain In May". 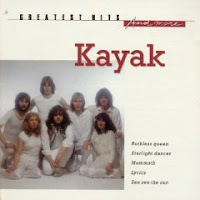 If you are looking for a nice Kayak compilation, "Greatest Hits And More" (Universal, 2001) could be a good one. 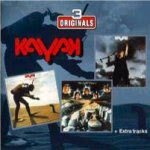 A double CD with 33 songs from 1973-2000. 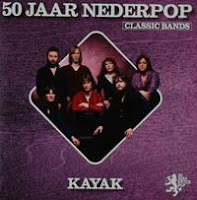 Includes the only song that Kayak sang in Dutch: "Boezem" (1976). 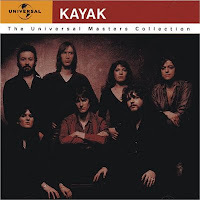 Three years later, in 2004, Universal came up with yet another compilation CD: "The Universal Masters Collection". A rather random selection from the years 1976-1980. 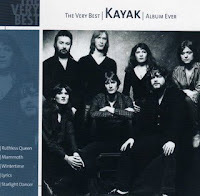 And EMI didn't want to stay behind: they also released a compilation in 2004: "The Very Best Kayak Album Ever" is the rather ambitious title... 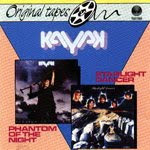 But at least it is a mix of songs that Kayak recorded for different record companies. And it has the long version of "Bulldozer", which makes it worth the purchase. And let's not forget the "Anniversary Box" from 2008. Apart from the brilliant Paradiso show, the box contains 2 CD's with tracks chosen by fans. Also includes an unreleased song ("Dear Lover"), and 3 songs that were previously available on Japanese CD's only. CD2: Frozen Flame, Forever, Icarus, Tradition, Avalon, The Last Battle, Friend Of The Stars, When Hearts Grow Cold (live), Broken White, Cried For Love, Love Lies, Never Before, Dear Lover.